The Tibetan Buddhist Gyuto Monks produce polyphonic prayers for various purposes including blessings, the exorcising of human afflictions of anger, lust, and envy, and invocations of protector deities. 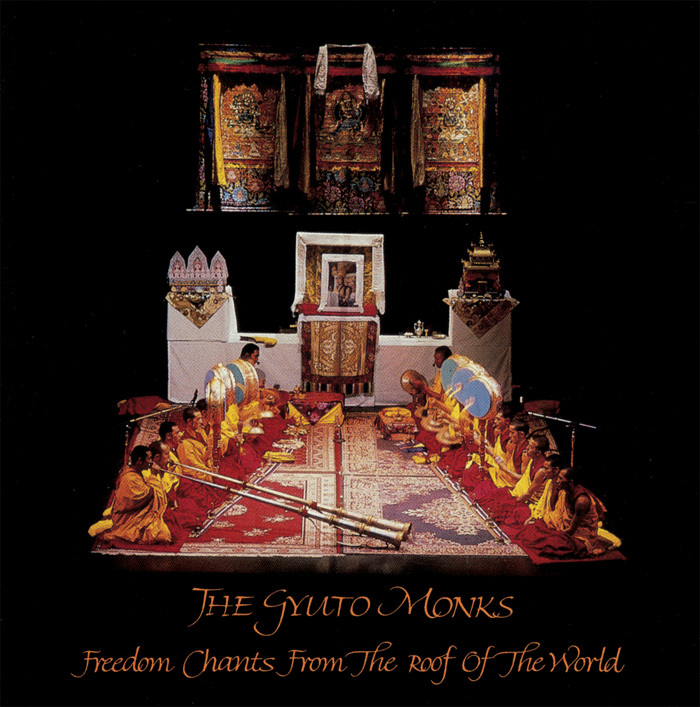 Primarily recorded at the Lucasfilm's Skywalker Ranch sound studios during the Gyuto Monks’ 1988 American tour, the album also features a tribute to the Gyuto Monks by Mickey Hart, Kitaro, and Philip Glass recorded live at New York’s Cathedral of St. John the Divine. Freedom Chants from the Roof of the World was issued in 1989 as part of “THE WORLD” series (now part of the Mickey Hart Collection made available by Smithsonian Folkways).